Contemporary artist and author of Société. Foreword INDIEFAB Book of the Year Awards Finalist and USA Best Book Award Finalist (Visionary/New Age Fiction). His work explores the metamorphosis of the human condition. Société is a work of fiction showcasing the effects of technology as resonated by our culture. 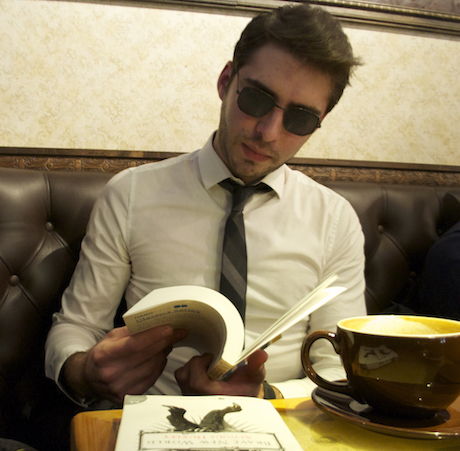 He lives in New York, NY and continues to work on his upcoming novels: Ten Cities and Jenua. Rayt Vickers is a miner in a civilization called the State. Where desire becomes the flower of chaos. Christian Matters meets with a lost soul he deems...strange. Christian Matters finds himself in an uncomfortable situation. Lester Rothschild meets his past employer and is presented a proposition. Christian Matters is a neurotic architect in his late-twenties. A letter found in obscure message boards brings the concept of transhuman existentialism. An old widow has a perilous secret. A cruising ride through California.